Just when we thought we were over the #Mannequinchallenge, mom-to-be Marsha Ambrosius and her love, Dez, have made us fall for it all over again at their baby shower. Are you ready for some Monday feel good vibes? 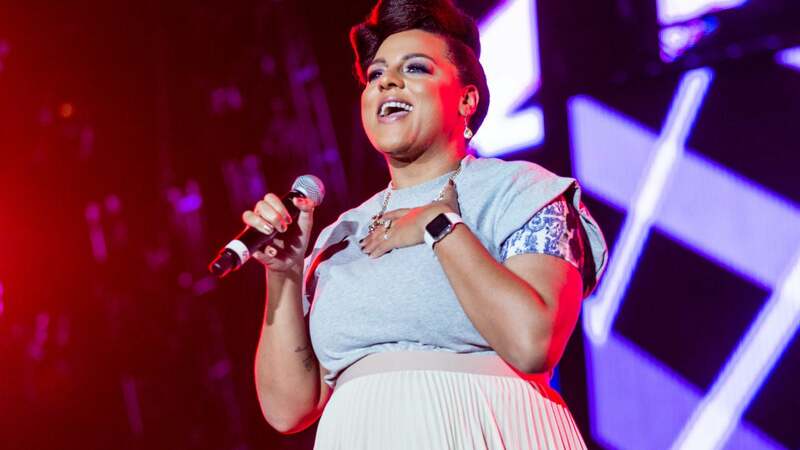 Mom-to-be Marsha Ambrosius just got engaged to her boyfriend Dez Billups at her baby shower and she announced the news in the cutest and most timely way possible—with a #mannequinchallenge video, of course. In the video, posted today on Ambrosius’ Instagram account, the camera slowly scans around a home filled with guests, holding as still as they can for the cameras, and concludes with a close up of Billups on bended knee proposing to his ladylove. The engagement news isn’t the only secret the happy couple shared with the world today. If you look carefully the video also reveals that they plan to name their baby girl Nyla too. This is the first child for the singer, who revealed her pregnancy news for the first time this summer at ESSENCE Festival in New Orleans. Congrats to the happy couple. We can’t wait for the wedding!